Somehow, in 1985 the 100% Indica Northern Lights arrived Europe – Netherlands – from the Pacific North West – ending up in Neville Schoenmaker‘s hands, owner of Holland’s first marijuana seedbank, known as The Seed Bank (later renamed Sensi Seeds by its new owner). It is told that all plants given to Neville were females, but The Seed Bank soon had Northern Lights seeds available in its catalog, so…how did Neville create his NL lines? The most likely theory is that Neville used Afghani males to hybridize and inbreed the different Northern Lights females he was given, and Thai Sativa genes were later introduced into some of the NL hybrids. Northern Lights #1 seems to be a true-breeding Afghani IBL, while NL#2 is a very potent NL#1 x Hindu Kush hybrid (which is actually Dutch Passion’s Oasis). It is believed that NL#5 was the best plant of the bunch, so it is probably the only NL female from the original 11 plants that has been kept pure. It has been used to develop tens of outstanding hybrids over time. Also, two males were selected from this different hybrids, labeled #1 and #2, which were used to develop several strains from The Seed Bank catalog. The Northern Lights is known for being a very resinous strain with high yields and very compact buds. Plants are strong and bushy, with many side branches that can perfectly support the weight of the flowers. It flowers fast, being usually ready in about two months of bloom and perfect to make top grade hashish. Due its compact buds it can develop molds during the flowering stage, especially in humid climates. The smell and taste are piney and earthy, with honey and ripe fruits undertones. The effect is intense, body relaxing ans suitable for the nighttime. Northern Lights has proven its medicinal properties throughout the years, being ideal to combat sleep and eating disorders. Several breeders offer their particular versions of the Northern Lights: the original NL#1 is commercialised by Sensi Seeds, while the Northern Lights #2 can be found in Dutch Passion’s catalog under the name of Oasis. The NL#2 was also used to develop one of the first auto-flowering strains, the original Lowryder. Female Seeds, Pyramid Seeds, Genehtik and Royal Queen Seeds also have NL hybrids, without forgetting Dinafem’s Industrial Plant, the Deimos from Buddha Seeds or Bella Ciao from Tiki Seeds. Legendary crosses come from the NL genetics, such as the renowned NL#5/Haze that perfectly combines two different worlds, Indica and Sativa, in an excellent F1 hybrid. Another strain developed from the NL#5 is Shiva Skunk (NL#5 x Skunk#1), an easy to grow strain that will please all novice growers for its yields and quality. The NL#5 is also present in strains with widespread fame in the cannabis scene: Jack Herer, Super Silver Haze and Neville’s Haze. As you can see, it has been used in hundreds of hybrids, also including the NL5/Afghan from Mr. Nice seedbank or Dutch Passion’s Ortega. Wheter if you are a novice grower or lover of Indica strains, if you are looking for an easy to grow, early flowering strain with high yields you should definitely give the Northern Lights a try. One of those strains that I’ve been interested in trying and haven’t gotten around to yet. A few years back I grew a freebie seed that was a cross with NL, maybe #2? I can’t for the life of me remember what the strain was or what the cross was, I just remember the NL being in there and that it was a very nice plant. I’ve really got to get around to growing some #5 one of these days, if I can get a hold of it. The Northern Lights is one of my all time favourite Indicas. 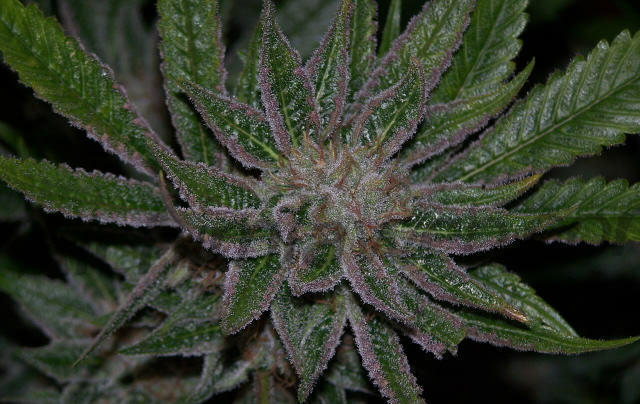 I knew it in Amsterdam in the early 90’s, a plant with very intense taste and potent effect. Still, have tried several cuts and none of them gets close to what I had smoked in A’dam. Will give it a try soon, I’m missing that strong smell so much! One of the most magical highs I have ever had, i hope one day to have a NL plant of ny own. NLts#1 from SBoH regens is my Standard of Excellence in a Limited area Sea o’ Green Continous Bro Op Everytime for many reasons, but the Production Weight top’s the scale in the Shortest time for anything I’ve ever grown in 49 years!! And the seeds from the SBoH finish faster than from later companies lines! !